Ladies and gentlemen of the Magic Online-playing, internet-article-reading community, let's take a moment to look at the phases of the M:tG turn. The vast majority of tribal decks focus on the main and combat steps: You play your creatures, you swing with them, maybe a few tricks in the middle. This leaves us with untap, upkeep, end and cleanup steps as barely touched except for an instant here or there, or maybe growing a spore counter. Let's take some tribes into this untrammeled territory, setting stops where most would skip. 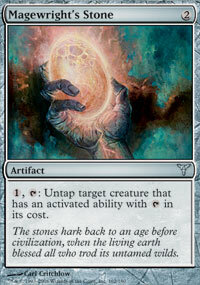 We start with the untap phase, which usually just happens with nary a thought. Turn starts, your guys are upright and ready to go. What more can we do with this? well, there are pretty much three options. A Visions uncommon and a cheap Johnny rare provide us with a lock, with Icy Manipulator and Azorius Guildmage ensuring that new creatures end up just as useless. Curiously you're more vulnerable to enchantment kill than artifact kill: the Tides are much more of a lynchpin even if your opponent is paying the soft lock cost. 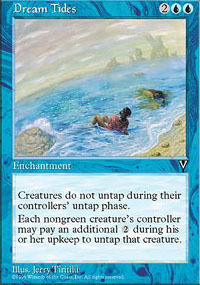 In addition, you have redundancy in your tapper effects with the guildmage. Court Hussar digs for your combo pieces, and the majority of your forces are defensively-minded. That said, pumping up Lionheart Maverick for the win can be amusing. Your forces are adept enough to hold off early weenie rushes whilst you assemble your backbreaker, but you could be in trouble with big and fast. However, I've piloted the deck successfully against the generic illusion powerhouse which tends to start swinging with multple flying 4/4s turn 4: The key there was getting tappers online early. You're not quite so vulnerable to sweeper effects short of Akroma's Vengeance, as you have plenty of vigilant critters and time to draw one. There are two other all-vigilant tribes possible, Angel and Soldier, but the former has no real need of a lock and the latter lacks the deck-digging capabilities of Court Hussar, although it can boast higher power. Let's stick with knights as we move onto the next phase. While the last deck set about eliminating upkeep entirely in order to dominate the untap step, this next deck loves it. So much so that it wants more. When it comes to upkeep decks, the most popular ones invoking the phase at the moment are Thallid-laden Fungus tribal and suspended Illusions replete with Riftwing Cloudskate and Errant Ephemeron. However, generating Saprolings and taking off suspend counters aren't the only upkeep trick: there was a whole mechanic unleashed a year ago which makes use of it. 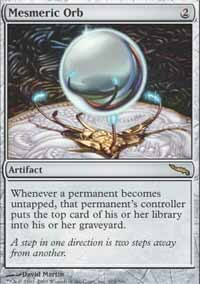 Forecast had its moment in the sun with Proclamation of Rebirth decks, but was never a hugely popular trick. Nonetheless, there are two knights that make use of it, and a further two which suspend. Let's give ourselves as many upkeeps as possible, and top the curve with a spot of recycling. Our gameplan here: Suspend early, suspend often. Any combination of Sursi, Giant, Vision and Knight of the Holy Nimbus first two turns followed by Haze on turn 3 is a great start. Paradox Haze is our key accelerant here: with two of them out, both suspended knights hit play the turn after suspension. 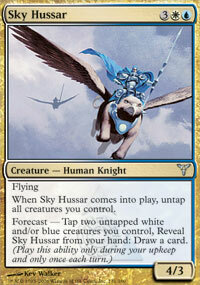 Don't forget Sky Hussar for free card advantage on turn 5, or if you reach a stall point. The Paladins are a useful means of staying alive if you're in a race, and your Riftmarked Knights do double duty when it comes to evasion, with your choice of pro black or pro white depending on the opposition. Should the game go long, Debtors' Knell helps to ensure victory. The deck is stronger on attack than defense: Flanking and evasion lead to a weakness against faster, more focused rush decks. Likewise, the deck has difficulty dealing with excessively large threats. Now, we traipse merrily past the draw step and main phase into the combat step. How do we focus a tribe here? An element of surprise helps, as does having an army which grows whenever you attack. Being able to force your opponent into combat decisions he may not wish to make is a plus, as is always being able to get past to do damage. 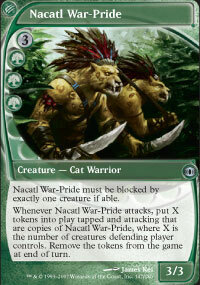 Now, it just so happens we can do this with a tribe very nearly at double tribe status: Stand up, the Cat Warriors. With this deck, our aim is to get Jedit or the Warpride attacking to build up a critical mass of lethal tokens. The Warpride with a Doubling Season or another Warpride out is almost guaranteed to be lethal, hitting your opponent for three damage per creature he controls, plus three damage, plus any unblocked creatures you have. The Evolution Charm helps provide evasion for the nontoken nacatl, if it isn't fetching lands from the library or cats from the 'yard. Surprise Deployment gives you a nice little trick,especially with Jedit, to disrupt attacks, with the Lord of Efrava leaving behind a token when he returns after blocking. The Spawning Pit is there to maximise the use from your warpride tokens, although it also has the benefit of exponential growth with a season. 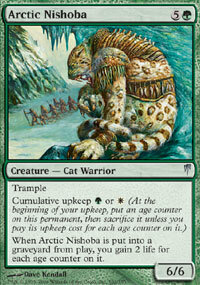 Your Vorines and Nishoba are there to further dominate combat: Krosan Vorine does a passable impression of monogreen creature removal and the Nishoba is a decently impressive 6/6 for 6 with a life kicker. Paying his upkeep for a couple of turns with a Season in play, while expensive, gives a substantial lifeboost when he pops his clogs. The deck has a weakness to early rushes and fliers, but it remains capable of incredible comeback wins via the Warpride. 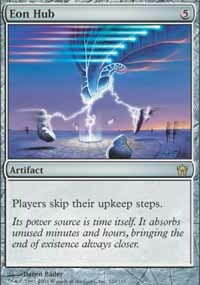 It has been speculated, during certain theme weeks on the main Wizards site, that if everything was playable at instant speed, the only time anything would happen would be your opponent's end of turn step. Future Sight gives us a chance to test that theory, as it rounds out no less than two tribes with sufficient flash-enabled creatures to be legal in the format: Humans and Wizards. Cats are only one creature shy, The two flashback cards in the relevant colors, namely Momentary Blink and Mystical Teachings are an easy fit: Most Flash creatures have useful comes-into-play abilities, and the teachings can grab any card in the deck. Twice. Add in some instant-speed removal, and we can happily camp in our opponent's end-step, pausing only to drop land on our turn, and maybe ambush an attacker when the other guy swings. This is a tricky but powerful little deck: You can very easily tutor up the answering wizard or trick you need via Wizardcycling or the teachings. You can bounce or counter spells, permanents and activated abilities, and can hose suspend, combat tricks, counters, storm and deck searching. You can wipe out unsuspecting attacking 1/1s at will, and can trade with anything larger, else use your removal. Your Voidmage Hushers can serve as refreshable chump blockers: Every spell in your deck can bounce them whenever needed. Your most likely path to victory is via your evasive flyers and blink trickery. Your weaknesses are against high-toughness flying opposition such as Angels, untargetables and mass token generators such as Thallids. 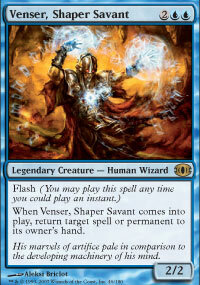 Mass removal can be handled with Venser, blinking as needed. Slivers? If you face them, grin evilly. 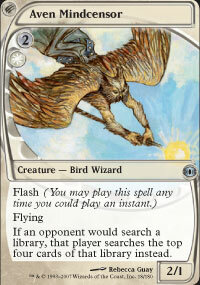 You won't be doing much wizardcycling, but your opponent won't be doing much of anything. 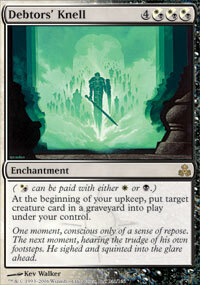 Live in your opponent's end step, but don't be excessively enamoured of your comes into play abilities. Curving out with Vedalken AEthermage, Aven Mindcensor and Crookclaw Transmuter against a slow deck can be effective even if their abilities aren't used. What is there after the end? how do you follow finality? In the case of the game, before moving on to the next player, there's a spot of housekeeping to be done first. We discard down to seven cards in hand, every Mirage instachant with Substance loses it, damage is fixed and until end of turn effects end. How on earth do we get a tribal deck that lives here? this is madness! Well, quite. So long as we have more than 7 cards in hand, we can drop a few creatures during our end step, into play, or into the graveyard. Now, I can think of at least two tribes which can take advantage of that, namely Zombies and Assassins, both of which are as black as pitch. Does Black have a reliable means of consistently overfilling its hand? Yes, but Necropotence isn't online. 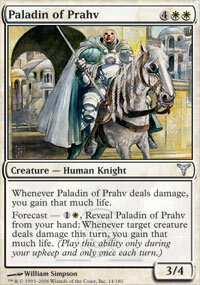 We'll have to make do with a slightly less broken version: Phyrexian Etchings. 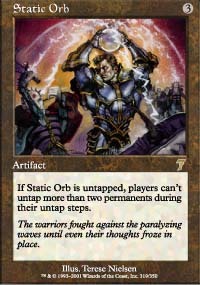 The mana payment on the card is steep: we need a monoblack card that can help us keep up, with mana left over to cast stuff. Step forward Cabal Coffers. We'll throw in Soul Spike as a free spell, and an engine to let us play the rest of our tribe straight from the graveyard, and what does that give us? A fun little deck, although the Etchings are vulnerable to enchantment hate. your draw engine will be eating a substantial chunk of your mana, but provided you have four lands between play and hand, you should be able to draw yourself out of any difficulty. If you intend to cast a Soul Spike after drawing from the etchings, remember to have a stop set in your end of turn to do so before discarding. It's not difficult to get multiple coffers in play, and given the likely steady stream of swamps, you should have no difficulty tasking one to keep up with the cumulative upkeep. Enchant kill is your main weakness, given the vital nature of your engine, but you should easily be able to keep up with most tribes. 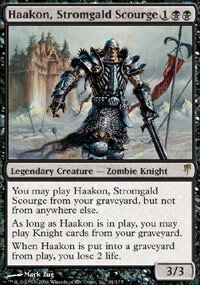 Haakon enables you to play all your sane zombies from the graveyard, and extra etchings or copies of him make fine fodder for your Soul Spikes. As you can see, it's possible to build a tribe around damned near anything. 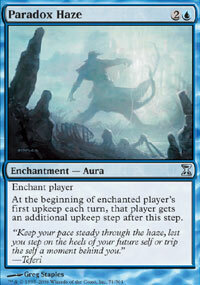 That said, I'd be interested to see if anyone can come up with a tribal deck based around the draw step. Next time I intend to do something a little bit different: I wish to invite you, gentle reader, to challenge me build a tribal deck around an interesting concept or creature type that appeals to you. Simply comment your challenge in the space below and I'll see what bizarre decks I can put together at your command, or whimsy. By the way, there is always the hound tribe, I have a 5c one. Maybe you prefer a more flavordriven tribe, one of my favurite casual tribal decks is: Invoker, of course it's not a rela tribe, but all members are mutants, and since each one has a nice ability, they only need massive manafixing&-acceleration to work. I would like to see Signet or Talisman tribal ... march of the machines ... backed up by real tribal support (like in a previous article you wrote). Mercenaries I first built when Primeval Shambler in 8th made 'em legal. Red-green clerics has potential, though I'd need a chunk of 7th ed rares, and the two possible vanilla tribes are Human and Warrior. 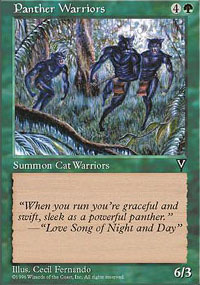 In addition, Rhad mentioned the possibility of Black Cat tribal. Keep the ideas coming. Here's my idea for a tribal deck. Breakfast tribes! Use some sort of tribe based off of eggs, bacon, pancakes, whatever you want. It may have to do a lot with the art and flavor text of cards and may not make sence when you actually play them, but it could be fun. One idea for eggs is Salvagers Combo using Humans, maybe you can use Beasts to use Protean Hulk and Gristleback, or something. Have fun with it! Nice article and interessting decks. 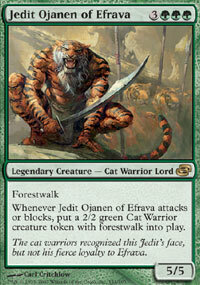 Love the green cats, too bad I am missing several cards for that one. 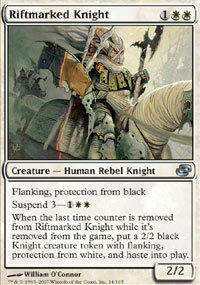 A cleric tribal deck without white and/or black clerics can be done, too. Yes, I tend to take challenges, I didn't even mention the two vanilla-only tribes that are possible.